The Series 900 Lever Dual Flow Mono Kitchen Sink Mixer is a classical styled tap from Tre Mercati. 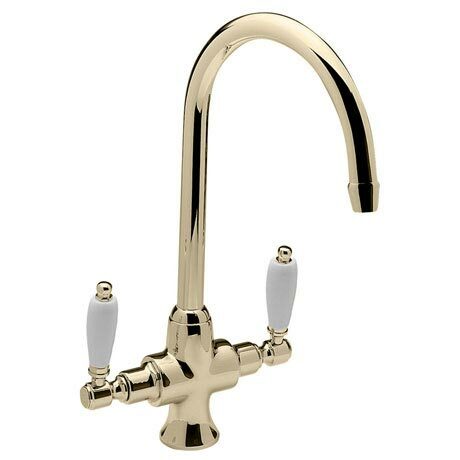 Made to the highest standards using the latest methods and best materials, the tap features a dual lever design which makes it easy and practical to operate and is finished in antique gold. Guaranteed for 10 years against any manufacturing faults.